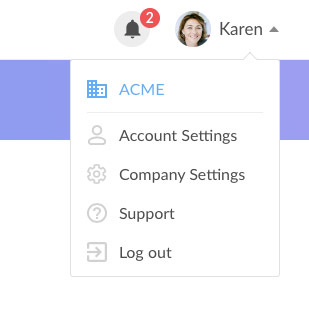 Select "Account Settings" from the dropdown menu. Enter your current password and your new email address. 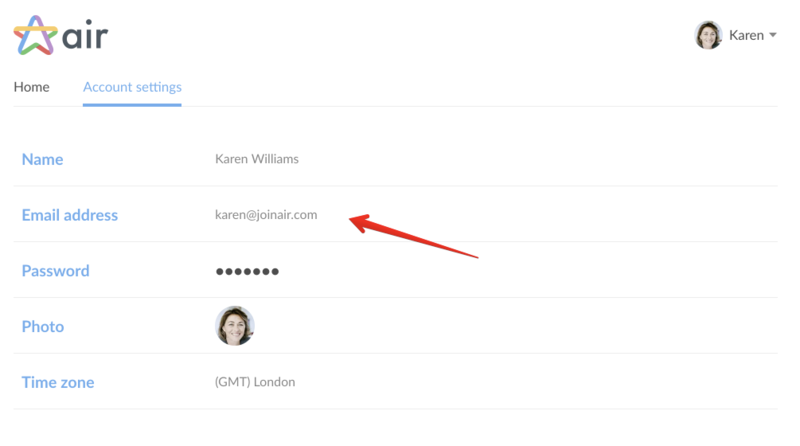 Air will send you a confirmation email, to verify ownership of your email. You will need to click the link in it complete the change.